We are adding gypsum to the greens to help flush some of the toxin and salts that accumulate during the summer and fall season. It will also aid with water infiltration. 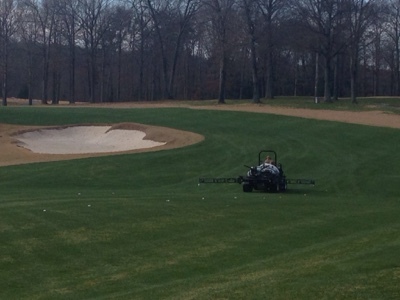 Here we are applying "Aneuw" which is new chemistry to the fairways to help reduce annual bluegrass, it will also reduce mowing. 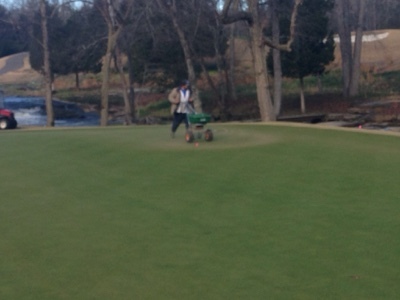 We have added ferrous sulfate to the tank at 12 lbs/acre. 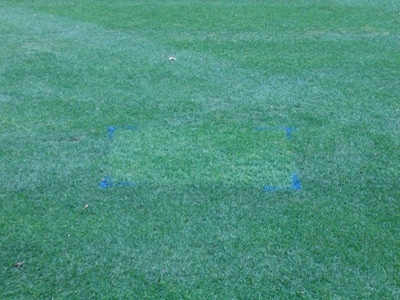 This will darken the turf with no flush growth. The picture below shows a check plot for us to monitor results of the product.